Give yourself the get-up-and-go to enjoy every day fully! Busy lives can take their toll on our energy levels, so getting the right combination of vitamins, minerals and nutrient supplements can be key to feeling fresh and ready to take on the day. 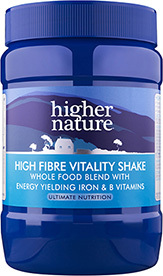 Higher Nature’s range of shakes, capsules, tablets and powders can help to reduce fatigue and promote vitality, invigorating the body and readying the mind for the day ahead. 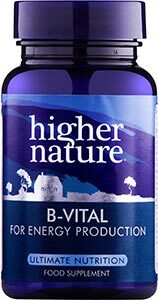 B-Vital is packed with nutrients to support a busy and demanding lifestyle, including all the B Complex vitamins to help maintain energy levels and a healthy nervous system, plus Vitamin C for healthy immune function and Ginseng to invigorate the body. 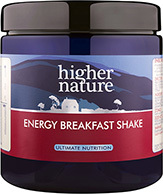 Unique formula to help provide energy, balanced brain chemistry and get-up-and-go. Start the day with this delicious, energy-boosting shake, with Sunflower, Sesame and Pumpkin seeds, Quinoa, Rice protein and beet fibre for protein and fibre. It provides complex carbohydrates for slow energy release through the morning and is flavoured and sweetened with whole apples. 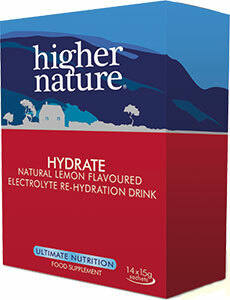 These easy to use, single serving electrolyte re-hydration sachets, replace essential electrolytes lost through perspiration. This Canadian Kelp (Ascophyllum nodosum) is cultivated in clean ocean water and screened for pollutants. Kelp is rich in Iodine, Potassium and trace minerals. 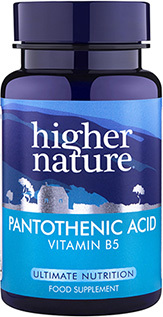 Pantothenic acid or Vitamin B5 helps to reduce tiredness and fatigue and supports normal energy production. The thyroid gland and hormones are needed for virtually every system in the body but especially for energy production and normal metabolism. 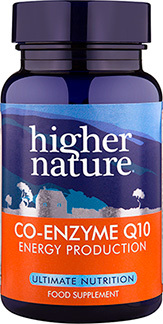 A great, all-round formulation containing selenium and iodine, as well as other important vitamins and trace minerals, together with 450 mg of tyrosine. B vitamins often exist together in food so it makes sense to take a B complex in a food-based formula with top-ups of single vitamins where necessary. 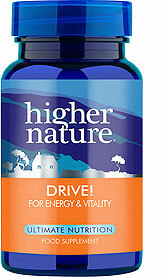 B vitamins and Vitamin C are important for transforming food into energy and to maintain energy and vitality. Chromium contributes to the maintenance of normal blood glucose levels to ensure that blood sugar remains even and balanced. Great as part of a weight management programme. Vitamin B12 contributes to normal energy yielding metabolism and the normal function of the immune system, as well as fulfilling many other important roles within the body. 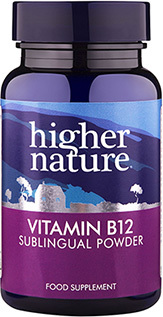 Our berry flavoured sublingual powder provides greater absorption and our vitamin B12 is especially good for the elderly.